Decking is a great way to add texture and dimensions to your outside space but occasionally it is unsuitable or expensive for smaller spaces, such as; patios, balconies or ground level walkways. Patio Deck Tiles do not have such restrictions, and on occasions when decking can be unsuitable, they can be the perfect alternative to traditional decking. 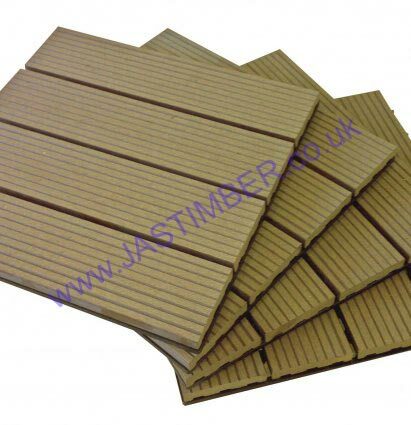 Made from FSC certified composite wood, the interlocking decking tiles are hard wearing and durable. They measure 11mm in depth and are then securely fastened to a rigid plastic base for strength and to prevent movement. The Composite Interlocking Deck Tiles are just 25mm from the ground so are ideal for walkways, or in situtations where a raised decking would be impractical. 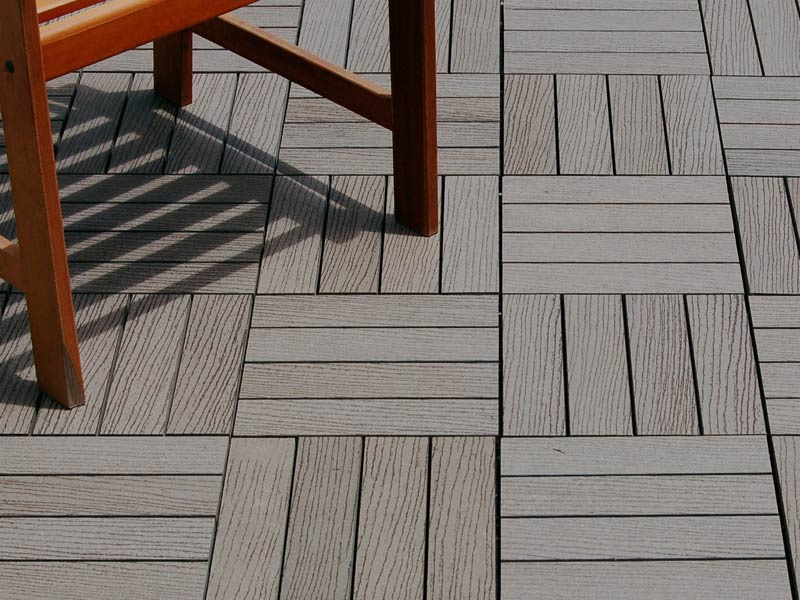 The Interlocking Decking Tiles come in three different colours; Redwood, Teak and Grey, so offer a natural accompaniment to a garden or balcony, and can be cut to fit awkward or interesting spaces, or patterns with no loss of structural integrity to the tile. And, because they are interlocking you can mix and match the colours to create appealing mosaic effects. The 300x300mm Everlast Interlocking Patio Decking Tiles are quick and easy to install. Simply place down on a flat surface, such as a patio or balcony, and enjoy. Installation really is that easy! They are transportable too, so as long as they are laid on a flat surface they are pefect for a 'posh picnic', creating eating surfaces on camping trips, and can be used as removable caravan decking. Call us or click contact for more information on this product from our experienced customer service team. Check out what else we have to offer from Everlast Composite Patio Decking, from; Decking, Joists, Newels, Spindles, Handrails & Baserails and fixings. Tell us what you think, leave a review of our products or your experience with us!